This digital racing tire pressure gauge is built for speed with professional quality, durability and function. Precise digital readings down to 0.1PSI for accurate tire pressure. Push button bleed down valve provides accurate readings from 0-60 PSI on LCD digital screen, with easy to use clip-on chuck. Recall button stores and displays the last reading. Digital racing tire gauge includes 3-lithium batteries and carrying case, and is backed with a 5 year warranty. 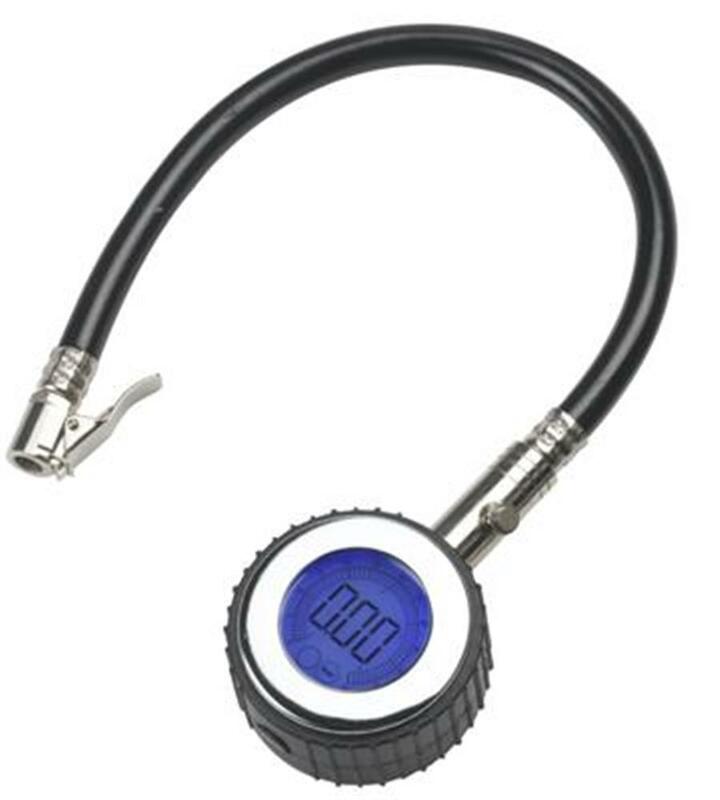 If you are using this tire gauge on the street you can improve your gas mileage by around 3.3% by keeping your tires inflated to the proper pressure. Under-inflated tires can lower gas mileage by 0.4% for every 1 PSI drop in pressure of all 4 tires. Properly inflated tires are safer and last longer. Proper tire inflation will increase gas mileage and can save you up to $.11 per gallon of gas. * Quick connect, 0.1 PSI res.